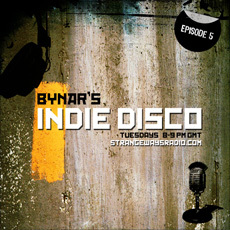 Indie Disco on Strangeways is a one-hour radio show filled with indie rock, post-punk, shoegaze, alternative, gothic, and electronic music that airs every Tuesday at 8 p.m. GMT (3 p.m. EST) on Strangeways Radio. It usually features new and under-the-radar independent bands that don’t have a large amount of mainstream exposure, so if you like what you hear please support these artists and buy their music. To receive updates on new episodes, please subscribe to the show via RSS. Today’s episode is available for streaming below and features tracks by Principe Valiente, Sounds of Sputnik feat. Ummagma, Arcade Fire, Kaiser Chiefs, Twin Atlantic, and other exciting bands.